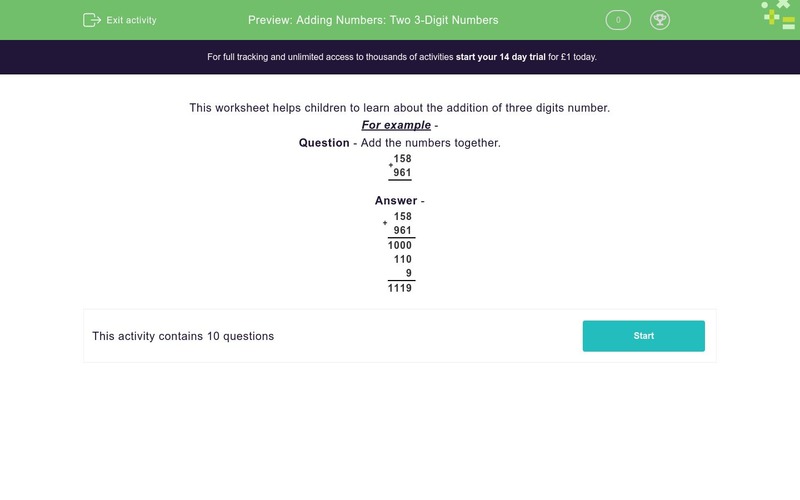 In this worksheet, students add together two numbers - both of which have three digits. They use a formal written/column method. This worksheet helps children to learn about the addition of three digits number.